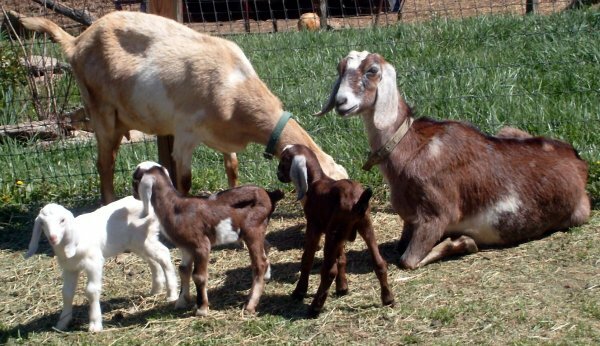 Our goats start kidding toward the end of April, and babies keep coming until nearly June. With their knobby legs, sweet expression, and incredibly long ears, there’s nothing so cute as a baby goat. And best of all, they love to be cuddled!